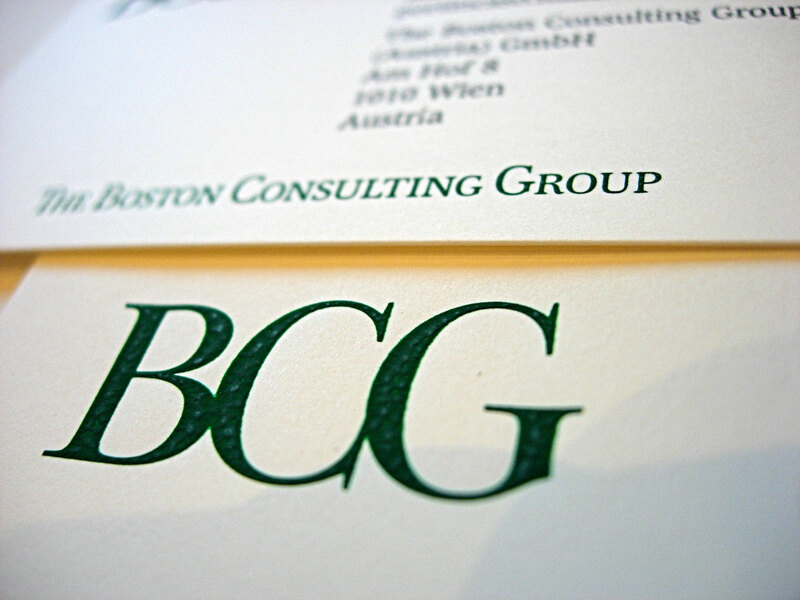 Redesign of The Boston Consulting Group (BCG) logotype and monogram. The historic version was set in ITC Baskerville. The new version is built from our BCG Henderson Serif, featuring a unique monogram. The main difference with the actual typeface is the higher contrast in size between large capitals and small caps. Part of the Henderson typeface project. Client: Meta Design Geneva (The Creative Factory). 1. to 2. 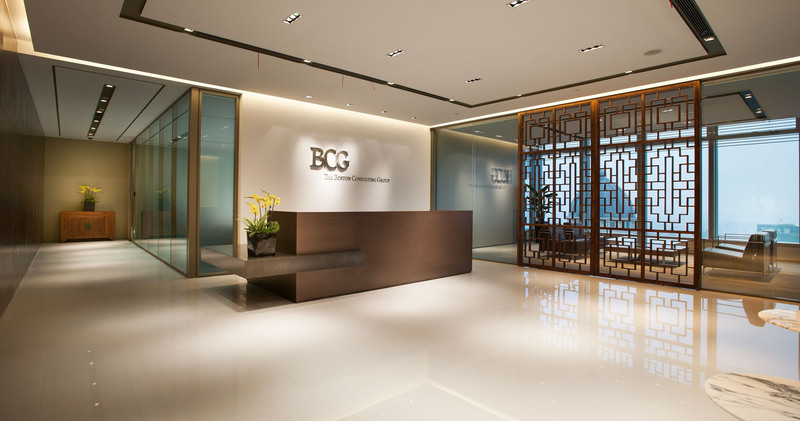 Boston Consulting Group offices. 3. Detail from stationary, printed using the hot stamping technic.